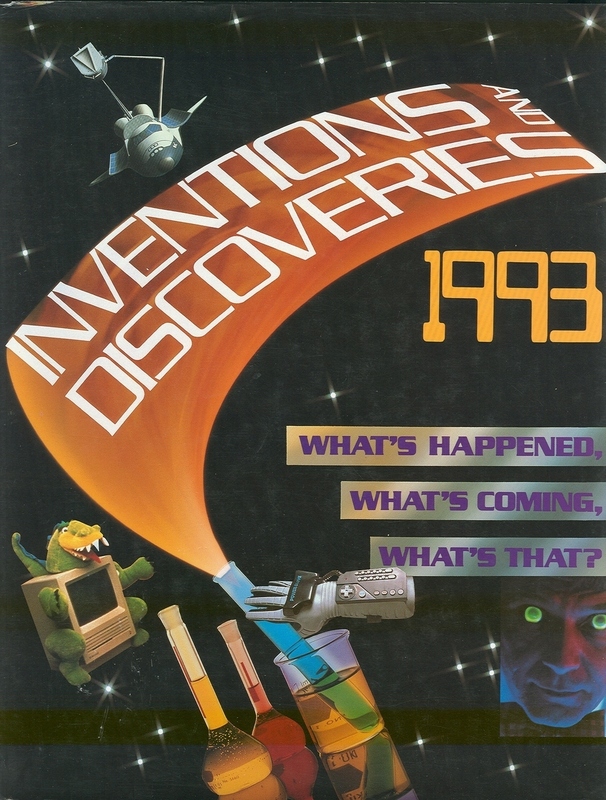 Inventions and Discoveries 1993: What's Happened, What's Coming, What's That? (Inventions and Discoveries)by Valerie-Anne Giscard D'Estaing, Mark Young (Editors) Hardcover Publisher: Facts on File (May 1993) Language: English ISBN: 0816028656 Product Dimensions: 0.8 x 8.8 x 11.2 inches Shipping Weight: 2.5 pounds. List Price: 52.00 From Library Journal This beautifully illustrated work (the first U.S. edition of a French and European best seller) is an informative and entertaining dictionary of inventions through the ages that have intrigued and enlightened us. It is organized into 12 chapters, ranging from "Weapons and Warfare" to "Information Technology," each with more than 100 concise descriptions of inventions, inventors, and discoveries arranged chronologically. Special features include a "What on Earth?" section that examines the world's zaniest inventions, a "Tomorrow's World" section that focuses on future technologies, and a list of all Nobel Prize winners and their accomplishments. This book may be useful for identifying a time period or as a springboard for in-depth research. Though name and subject indexes are included, citations to sources are not, and there are no bibliographies. Its timeliness and scope, though, makes it a better choice than the Oxford Illustrated Encyclopedia of Invention and Technology ( LJ 3/1/93) for most libraries. Book Description: Book and Dust Jacket very good Condition. This 248-page first edition hardcover has a full number line on the copyright page. An extensive chronology of humankind's technological advances, this is a unique collection of more than 5,000 historical and up-to-the-minute inventions, covering the entire spectrum of human endeavor, including weapons and warfare; agriculture and the environment; power and industry; science and medicine; sports and toys; transportation and communications; everyday life and space exploration; computer technology, and the arts. Over 200 color photographs highlight this fascinating "look into the future." About changes in technology, this book looks ahead to what projects might influence our lives in the near future. Genetic engineering, biotechnology, digital communications, space exploration and superconductors. NOT AN EX.-LIBRARY OR REMAINDER BOOK. Condition: Please note if you are purchasing a used item: Although some of my inventory may be in Like New or Very Good condition, most used materials show mild to moderate wear and tear. CHECK OUT MY THOMAS EDISON SCIENCE AND TECHNOLOGY BOOKS IN MY STORE.